As you know, BT Openreach has no immediate plans to upgrade the old copper phone lines on your road to support superfast speeds, meaning you’re going to be stuck with an outdated and inadequate 8Mbps for some years to come. However, there is a 21st century option. HUBBNET has installed equipment enabling Superfast speeds straight to your home. Why can we not get broadband like everyone else? The landline infrastructure on your estate has never been upgraded to superfast speeds. As you well know the maximum speeds available to you are currently 4-8Mbps. This is extremely poor. 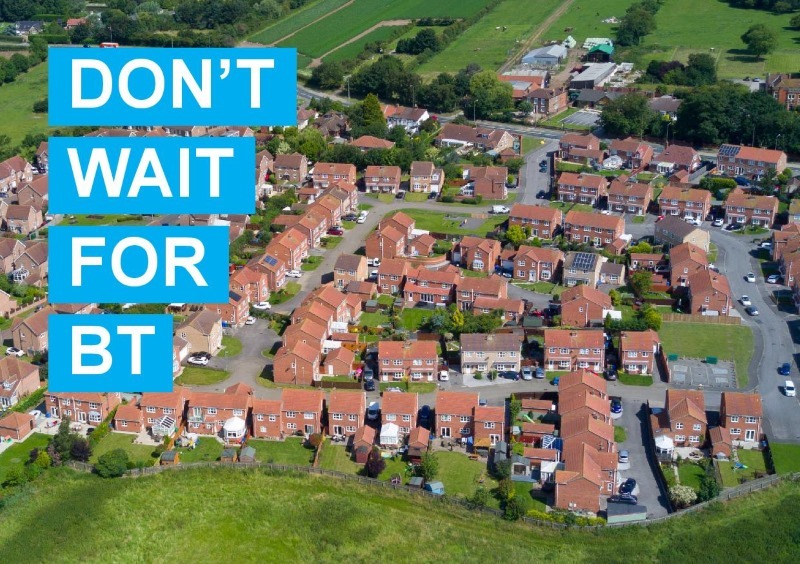 There are currently no plans to upgrade any of the lines on your street, you could be waiting years for fibre. Our network lets you get connected now! The ultrafast transmitter is already in operation a few hundred metres from your home, and we can connect you to our network right now. This is how we can guarantee superfast speeds and get you connected now, not years in the future like other providers. A small antenna is fixed to the exterior of your property, usually on your existing TV pole, pointing to our nearest transmitter. This will receive the Superfast Broadband signal. All our Superfast connections come with a free dual band wireless router. We install this in your house for you to connect all your phones, smart TV's and laptops to. You are now able to stream, game and surf the internet at superfast speeds.